Greetings from the frozen wasteland of the library. I was reminded of a different frozen wasteland. 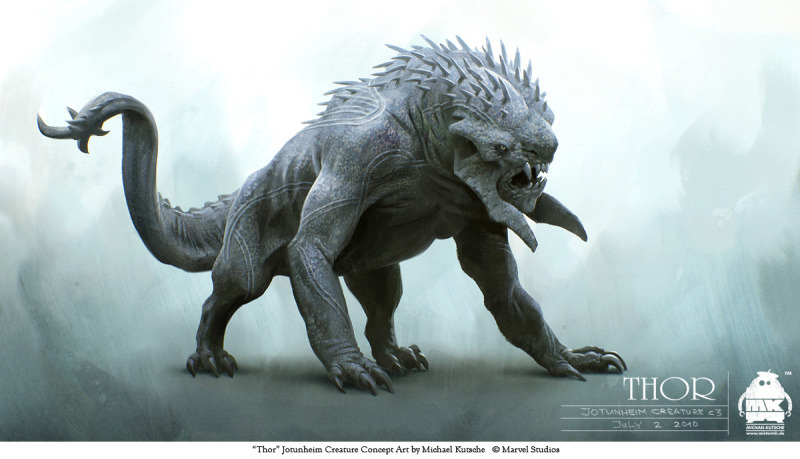 The fabulous monster you see above is known heartlessly as “Jotunheim Creature”. To me, he would be “Fluffy”. He would be my best friend, and my primary form of transportation. Talk about traveling in style! Forget traffic, Fluffy crashes through it in impossibly majestic leaps. Best of all, he, like Hannibal Lecter, hates it when people are rude, so he also feasts on the free range rude.